If you’re the owner of one of the estimated 28 million small businesses in America, you need to include cyber security as an important part of your business toolkit. 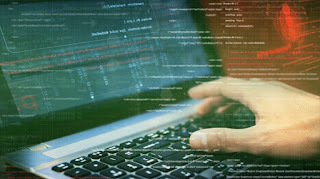 Almost half (43 percent) of cyber attacks target small businesses. The threats are growing and changing as fast as online technology, and following are the types of cyber attacks criminals are plotting against your small business right now. A DoS attack is a kind of internet piling on. These attackers send enough information and data all at once from multiple computers to overload your system so it shuts down. These are common and one of the best ways to prevent against this kind of malicious cyber traffic jam is using analytics to monitor unusual spikes in traffic flow. Regular security software updates are another routine way of preventing these types of issues. Small businesses don’t always need to look very far for the threat of a cyber attack. Some of the most crippling breaches occur when past employees decide to misuse the access to data and information you’ve left in place. When people quit or get fired, you generally take the keys to the front door back when they go. Make sure you revoke their access to any data after their termination too. If you leave this cyber door open, a disgruntled ex-employee can even use what’s called Ransomware against you. That’s where they hijack your mission critical data and hold it until you pay a price to get it back. That’s one word that should set of off alarms bells whether you’re running an eCommerce store or a brick and mortar shop with an online presence. Malware is the catchphrase for any of the malicious software that lurks in the weeds of cyberspace looking to gain access to your system to cause some kind of damage. The phrase covers a large swath of worms, viruses, Trojan Horses and other pests like Ransomware. Antivirus software creates a good moat around your business, and you should always be wary of opening emails from people you don’t know. Watch for pop ups promising needed updates that are really masking rogue software. Updating your firewall is a good move too. Unfortunately, there are some very good reasons why internet security experts tell you to make sure your small business passwords don’t use common words and phrases or easy to remember terms like a variation on the name of your company. Imagine an old school safe cracker here. Instead of a stethoscope to listen for the clicks telling them they’ve found the right combinations, these modern day criminals use a program to try different sets of common words. If a hacker has a list of employee names, they’ll get to work with easiest-to-guess passwords based on first and last names and pet names. Changing passwords frequently can throw any hackers off your trail. Stay away from simple keyboard progressions like qwerty and away from slang terms and common misspellings. Once again comprehensive security software works wonders for your small business. Pretty much the same as the brute force version with a more narrowed focus. This attack gets it’s name from the fact that many people tend to choose passwords that are seven characters or fewer — the kind that can be found in the dictionary. Where you login plays an important role. Unsecured WiFi connections are public and more open to being hacked. Imagine someone being able to use a program capable of tracking every keystroke you make? Hackers have access to programs capable of this, programs capable of putting your passwords and sign in IDs in their hands. If you’ve ever logged onto a computer or into a portal using a username and password, you could be vulnerable. Fight back using multifactor authentication. Here, you’ll outfit everyone with a password and some other form of authentication that slows hackers down. Quite often an access code is used as an added form of protection.